I have just spent the past two weeks in the North East of India, an area that not many Indian tourists visit let alone foreign tourists. I loved it so much that my original one week trip was extended out to two weeks. 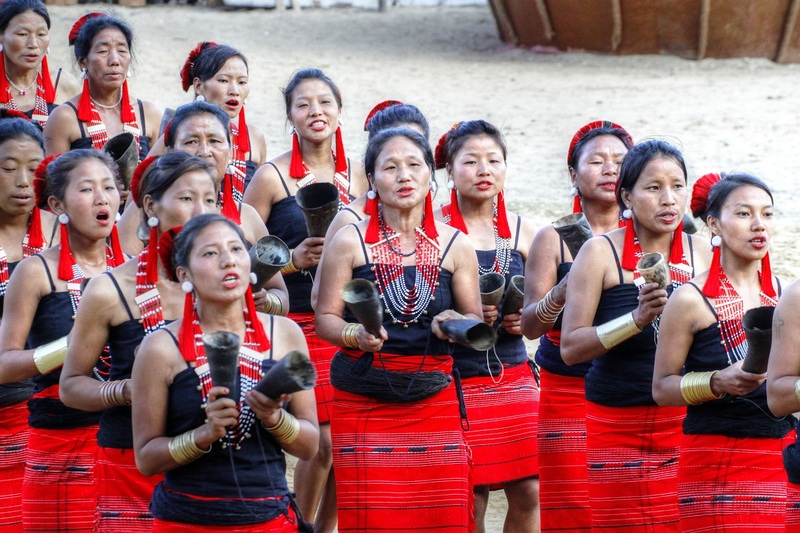 The main focus of the trip was the annual Hornbill Festival in Nagaland, a celebration of all the tribes, where they get together to showcase their customs, costumes and food. It is spectacular and I highly recommend anyone traveling to India in the first week of December to make sure it is on their itinerary. I travelled with The India Trail, run by a couple of young guys passionate and extremely knowledgeable about the region. They are very professional and can organize a wide range of activities to sort all interests. I will write in more depth soon but in the meantime here are a couple of photos from the festival. 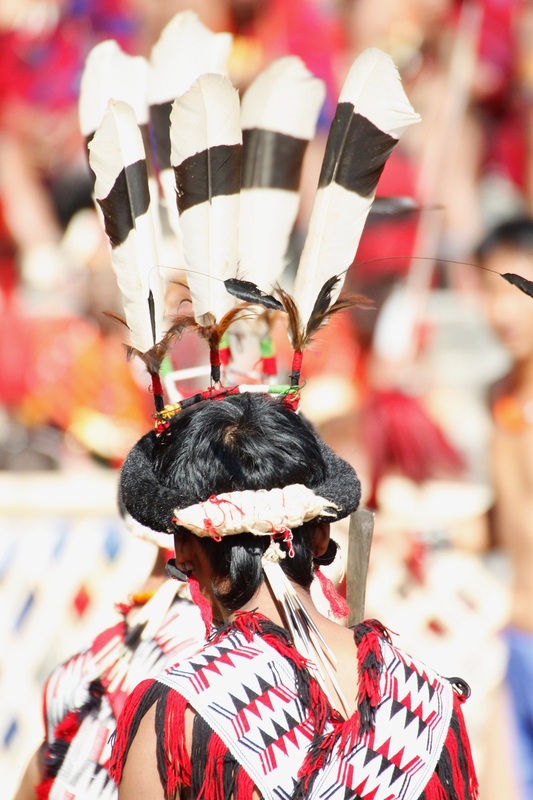 This entry was posted in Assam, India, Life, Manipur, Nagaland, North-East India, Travel and tagged Assam, Expat, India, Manipur, Nagaland, North-East India, Travel by Kiwigypsy. Bookmark the permalink. I think slowly these things are being replaced by synthetic ones. The original feathers now cost Rs1000 each! The ivory arm bands are now made out of plastic.